Local bazaars and souqs are in abundance all over the city, however, the “Harraj” or Al-Sawarikh Market in the south of Jeddah expands and attracts new patrons and customers each year, making it the largest and most popular of its kind in the Kingdom and even in the Middle East. Al-Sawarikh Market, also referred to as the “Port Market” is named so because it sells goods which have been confiscated by the port customs authority. It is also called Al-Sawarikh Market because of its proximity to a missile base that was built in the far south-west of Jeddah 25 years ago. These markets are known for offering goods at a much lower rate than what is sold at shopping malls, along with that, they also offer a diverse array of merchandise. Almost 1.2 million kinds of products are exhibited in one place. Most Saudis interested in saving money come to this place in order to buy new and used goods alike, at bargain prices. 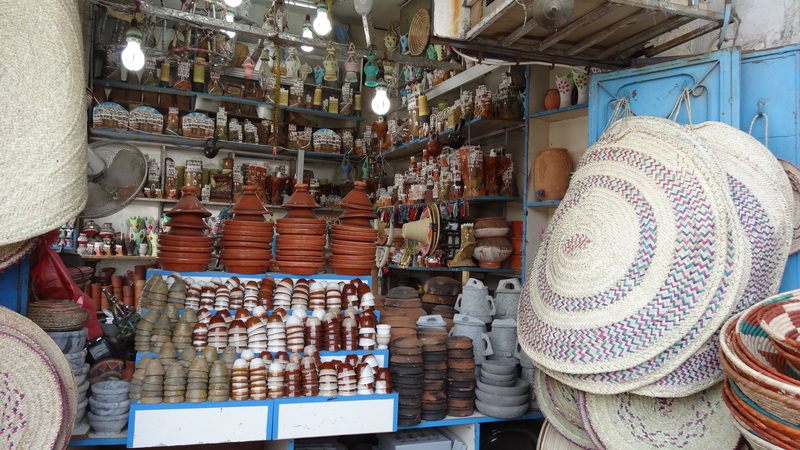 There are also many foreigners at these markets purchasing durable goods, furniture or new electrical appliances and even a variety of spices which are indigenous to Saudi Arabia. The market began with 30 shops but has now transformed into a commercial city. It houses more than 13,000 shops and over 10,000 licensed stalls. Most visit these markets whenever they pass through Jeddah. It is growing continuously. Many vendors have moved to it because of its reputation in the Arab and Muslim world. However, there are some illegal traders at the market as well, trying to evade the authorities. The mayor of south Jeddah has municipal teams patrolling the market on a daily basis to deal with such traders. The teams also check shops for expired or counterfeit goods sold at low prices. The problem of illegal traders is particularly severe at the end of each week and before the month of Ramadan. However, municipal officers routinely confiscate the goods of these traders and keep it running perfectly well. The municipality is also working to improve services at the market, including the toilets and paving. The expansion of the market is proof of its ability to sell cheap, quality goods. However, there was a need to improve services so it can expand as it did over the past 25 years. Other than these, there are the countless shopping districts, malls and souqs which offer something for everyone. Search for souvenirs and local artefacts in the old town of Balad or join the locals in the Heraa, Palestine and Gabel Street areas. Spend a day in the high fashion and exclusive boutiques of Tahlia Street, the cities Golden Mile. If that’s not your cup of tea then, head for the large shopping malls such as Mall of Arabia, Roshan mall or the Red Sea Mall where international brands rub shoulders with regionally favourite boutiques. Jeddah is a magnificent city which is known for its different culture and cuisine, spectacular beaches and local souqs that embody the traditions of the Kingdom of Saudi Arabia. It’s the city that never sleeps and it won’t allow you to sleep by all the variety it offers. To discover this radiant city, you will have to sail its raging costs, visit the luxurious Corniche road, try popular seafood delicacies, enjoy majestic palaces, and explore historical and archaeological landmarks. Book through Gurfati.com and find gorgeous, deluxe and family friendly villas, condos and apartments. The properties offered by Gurfati gets together all your requests, needs and requirements, putting them in a single place and providing you with the best furnished apartments in Jeddah.